Plastic surgery can change your life for better or worse. So it’s not something you should do on a whim. There are a few key factors that need to be considered. Here are some important questions to ask to help you decide if cosmetic surgery is right for you, just for women1! 1. When was your last growth spurt? Cosmetic surgery should not be performed on a body that’s still changing. Your body, height, weight, and breast size are supposed to stay the same for at least one year prior to plastic surgery. For women, this is one of the questions to ask that most don’t bother to consider, or just ignore. Some young women in their teens get cosmetic surgery in hopes of looking like their favorite celebrities. But ignoring the fact that their bodies are still changing can have serious medical consequences. 2. What exactly do you want the plastic surgery to correct? Have a specific idea of what you want fixed. For women, the happiest plastic surgery patients are the ones who are getting it to fix a particular issue. And those who are doing it to have a normalized body, not simply for beauty enhancement. If you want a nose job to balance your features and help you breathe better, or if you want a breast reduction to relieve back discomfort, then that’s fine. If you just want to change your look, then that’s a source for concern. For women, plastic surgery is not supposed to cure your low self-image. You need to carefully consider the questions to ask. Consider if cosmetic surgery can truly solve your problem and enhance your quality of life. 3. Why do you want plastic surgery? Permanently changing your body can become a successful result, or a lifelong regret. For women, you should want it because it’s something that you have considered for a long time. And that you are doing it for you and no one else. Never change yourself for anyone, to look like a celebrity, or in response to a major event. People who don’t like you will never truly like you, even if you change your looks. Plastic surgery cannot change who you really are on the inside. A depressing event in your life will remain as it is no matter how many times you change your looks. Cosmetic surgery can only change your appearance. It will not affect others who made that event happen. Carefully consider the questions to ask listed here before undergoing any enhancement procedure. 4. 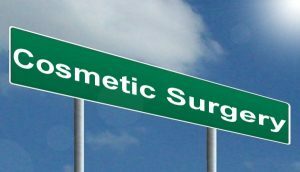 What are your cosmetic surgery expectations? The point of getting a cosmetic surgery is to make a better version of you. The surgeons can only work with your body and cannot give you a new one. Don’t expect for something unrealistic to happen. For women, this is one the questions to ask after seeing digital models of what you could look like, ask yourself how you would feel looking in the mirror and seeing that change. If your answer is something in the lines of you are finally going to look on the outside how you feel on the inside, then everything will be okay. If you feel unsure, then you should wait. Surgery should never be rushed, be it plastic surgery, cosmetic surgery, or any type of surgery. 5. Have you done everything you can to help yourself first? Cosmetic surgery patients are advised to make healthy lifestyle changes like exercising, eating healthy, and resolving any physical or mental issues before seriously considering any type of surgery. Plastic surgery for women should never be the first choice for things that you can fix on your own. Consider significant questions to ask on how you can solve your problems. Try to work with a nutritionist, a trainer, and a psychologist. They will be able to help you achieve healthy maintenance routines. The results can even help you get a successful surgery and you may need less work done. 6. Are you aware of the risks? It may be rare, but death is one of the risks of a major surgery. And this is a major surgery, so the same risks apply. For women, the questions to ask are: what are the other risks? Will another surgery be needed? Are you willing to quit smoking? The other risks of plastic surgery are infection, bleeding, scarring, and blood clots that could also be fatal. 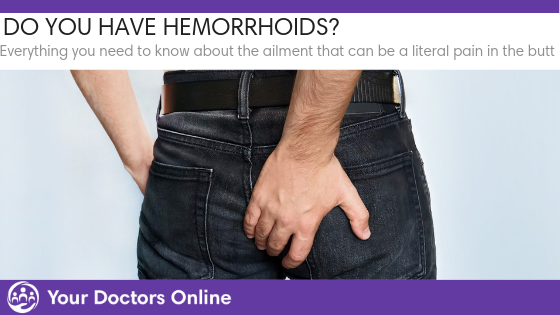 Some patients will need or want additional surgery because they’re not satisfied with the results or complications may have arose. Corrective surgery can be very expensive and painful, and the results are not even guaranteed. Nicotine interferes with blood supply, so you can’t have cosmetic surgery unless you quit. 7. Have you done your research? Search for plastic surgeons that’s board certified, has a good reputation, and is willing to listen to you and answer your questions. Here are more just for women questions to ask: What type of procedure do you want in particular? What are the costs? Will you have enough time off work? Are there any people who can help care for you after the operation? Can you afford another surgery in case something goes wrong? Make sure all questions to ask are thoroughly answered before you get that cosmetic surgery. It may seem a bit harsh for women to read the following questions to ask if you really need to get either a plastic surgery or a cosmetic surgery. However, sometimes you need something harsh to wake you up because you may already have the means to improve yourself without having to undergo a serious medical procedure. Talk to a plastic surgeon from our panel of expert specialists today! Dr. Nicholas Economides Bio: With more than 40 years of medical expertise, my career as a professional practitioner has been rewarding. My physician specialties include body contouring and non-surgical cosmetic improvements. I presently serve as Physician Executive for Catholic Health Initiatives, as well as VPMA/CMO for Trinity Health System. Dedicating more than four decades to medicine, I have served as Medical Director for multiple medical facilities, been appointed to 7 professional boards, received the Patient’s Choice Award from 2008 to 2011, and awarded Compassionate Doctor Recognition in 2014. My associations include the American Society of Plastic Surgeons and American Board of Plastic Surgery.